The day I made these cookies was also the day I realized it was time to start enforcing a little privacy from my 4 year old. Remember the days of taking an uninterrupted shower for longer than five minutes? I found myself locking the door after my daughter became curious with questions. Now I’ve become a skilled ninja going from the bathroom to the bedroom after a shower…unlocking and slowly opening the bathroom door, peeking around the corner, tiptoeing across the hall, then diving on the bed while humming the Mission Impossible tune. My husband used to buy these cookies by the dozen from the store, and it was always one of those circumstances when I became immediately excited…then frustrated because I knew I’d end up eating half a dozen of them…immediately. 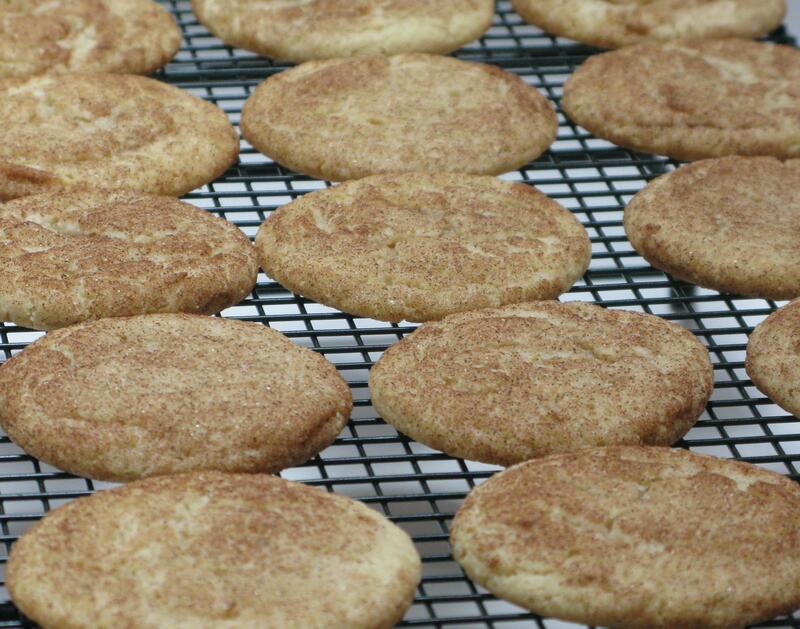 Who could resist the soft, buttery goodness of those cookies topped with the perfect balance of cinnamon and sugar? I sure couldn’t, and I’m starting to think it may be a super power to avoid these if at all possible. 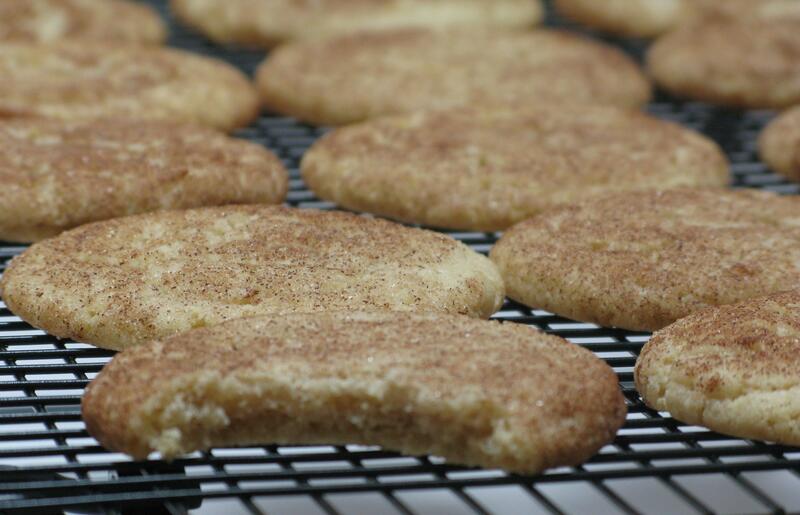 These days, it’s me providing our home with these cookies…and my husband is now the one who is grumbling about how much he loves the cookies while he shoves three in his mouth. Oh, how the tables have turned. Preheat oven to 400 degrees. In a medium mixing bowl, beat butter, shortening, and sugar at medium speed until creamy using electric mixer. Add eggs and vanilla, continue beating until blended. In a smaller mixing bowl, combine flour, cream of tartar, baking soda, salt, and 1 teaspoon cinnamon. Gradually add flour mixture to the butter mixture while continuing to mix at medium speed. Set cookie dough in refrigerator for 15 minutes. In a small dish, stir together 3 tablespoons sugar and 2 teaspoons cinnamon. Using a cookie scoop to measure out dough, roll dough in cinnamon sugar mixture, then place on baking stone or cookie sheet. Bake for 8-10 minutes, until a light golden color. Remove from oven, leave cookies on stone or sheet for another 2 minutes. Transfer to a cooling rack lined with paper towels (this keeps the cookies from developing indentions from the cooling rack) to cool using a cookie spatula. Store in airtight container.